The Great Smoky Mountains are my stomping grounds; they offer some of the greatest natural vistas in the world and they’re where I run my range of hiking trips. Check out my Great Smoky Mountain hiking trips if you’d like to learn more about each trip. However, if you’d like to learn more about the Great Smoky Mountains themselves, then you’ve definitely come to the right place! This short FAQ will try to answer many of the most frequently asked questions about the Great Smoky Mountains — so keep reading if you’re interested in the area or if you’re planning to visit in the future. Following the path is difficult. It is fraught with hardship and struggle. There were times that I starved for days on end, days that I slept in the rain, on park benches. Days that I traded cigarettes with the homeless for information about a new and foreign city. Days of ashes. Backpacking in the Smokies will eat your lunch if you are underprepared but if you follow this workout plan you will be bounding over mountaintops and ridgelines in no time. “The Power of 8’s” consists of 11 different exercises that are meant to be done in order. The program consists of two circuits running back to back. Basically, you repeat the exercises for 2 rounds. 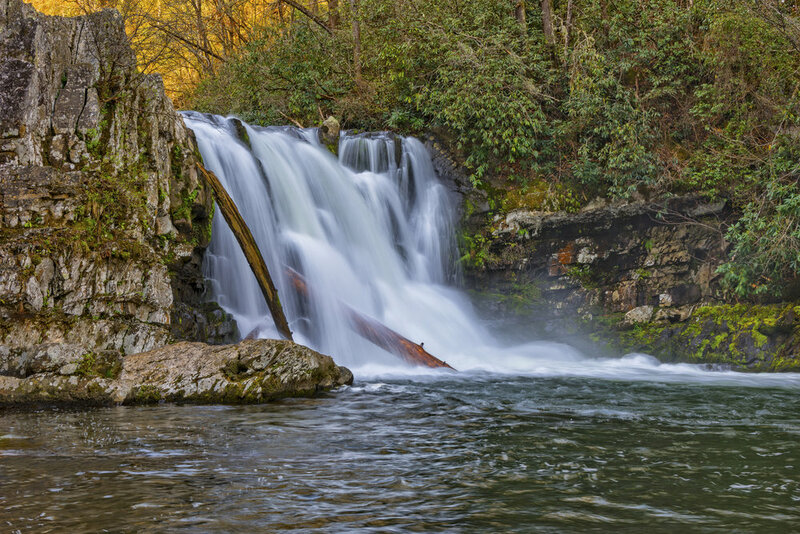 Why Book A Guided Backpacking Trip In The Smokies with us? What sets The American Wild Trekking Company apart? 1. Exclusive Group Sizes: Our group sizes are never larger than 5 guests. We do this to minimize impact on the natural environment and provide our guests with the purest wilderness experiences possible. We can ensure that the quality of our trips is maintained and that each guests individual needs and expectations are exceeded. 2. Exceptional Cuisine: We prepare all of our backcountry meals personally. We will never serve freeze dried Mountain House meals. We have multiple options regarding preferences for meals on your trip. 3. Lightweight Gear: The gear we provide for your use while on our trips weighs under 15 pounds. The difference this makes is immense and cannot be understated. Traditional backpacking base weight (Tent, Sleeping Bag, Stuff Sack, Sleeping Pad,Backpack, and Rain Cover) is usually over 25 pounds. With water, clothing, and food weight added we can keep the weight of each guests pack to under 25 pounds. We proudly use Sierra Designs and Kelty gear on all of our expeditions. 4. Phenomenal Guides: When we hire guides we look for three traits; resilience, competence, and a sense of adventure. All of these characteristics make our guides truly exceptional in the industry. Every one of them has qualified themselves to work in the outdoor industry by experience, not just credentials. 5. Medical Training: All of our guides possess Wilderness First Responder Certifications from the National Outdoor Leadership School. All are trained according to an Emergency Action Plan and have means to contact emergency park personnel if necessary. The American Wild Trekking Company is the conduit between civilization and the wilderness. We will sleep under the stars, climb mountains, swim in waterfalls, and regain balance. Awe is our guiding principle, a feeling of reverential respect mixed with fear or wonder, and our promise is that by the end of your adventure with us you will be able to take it back with you. "He made our hike SUPER enjoyable! He had lots of information that he offered us the entire hike! We learned so much!" "I would recommend this trip to anyone and everyone! Don't forget to tip your guide, they work their butts off for us." "We didn't know what to expect, given my husband and I aren't experienced hikers. Jake made sure the pace wasn't too hectic." "He showed us secret caverns under the falls and was always ready with a great story. He really made our trip special and I would highly recommend him!" "The trip was well-planned, our guide, Jake, was very professional, a great cook, and skillful at managing the dynamics of a diverse group so that everyone was satisfied. Jake is truly an "old soul." Available 9-5 EST Monday through Friday for a consultation.